IELTS (International English Language Testing System) is the world’s most popular English language test. Taking IELTS opens doors – it can help you live, study and work around the world. 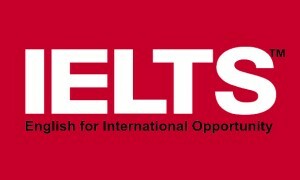 More than 9,000 organisations in 140 countries accept IELTS, including government, academic and employment institutions. IELTS is the only English language test accepted for immigration purposes by all countries that require one. If you are applying for a visa to move to or stay in the UK, IELTS is on the list of approved secure English Language Tests. Winspire Academy IELTS Training Established in 2011, Winspire has been dedicated to training IELTS Candidates. Our IELTS Training program is designed to give the candidates Sufficient Practice and Good Confidence to enable one to score high in the IELTS test. We are Authorized Registration Center for both The British Council and The IDP IELTS India registration of IELTS exam. The Academic Module is intended for those wishing to enroll in universities and other institutions of higher education. The General Training Module is intended for those planning to undertake non-academic training or to gain work experience, or for immigration purposes. The Listening and Speaking sections are the same for both the Modules, Reading and Writing sections differ. This course is designed for students who already have some familiarity with the IELTS test or have taken the test before. This course allows students to further develop test strategies and to improve overall fluency and accuracy. Fast Track classes are a very efficient way to consume training. We extend the hours and pack in more content so that you can learn as much as possible in just a few days. We recommend this mode only to the aspirants who have less time to appear for the IELTS Test or who are sure enough to reach a higher level in less time if training is provided. IELTS Unlimited is a 6 month IELTS preparation Course to develop the relevant requirements in IELTS including basic vocabulary, grammar etc. It is also helpful to the candidates who are not able to attend the IELTS Preparation Lessons regularly. IELTS, the International English Language Testing System, accesses the language ability of candidates who need to study or work where English is used as the language of communication. IELTS is a must for entry to university in the UK and other countries. What is the purpose of the IELTS test? The IELTS General Training module helps candidates who are going to English-speaking countries to complete their secondary education, to undertake work experience or training programmes not at degree level, or for immigration purposes to Australia, Canada and New Zealand. What is the highest score in IELTS? 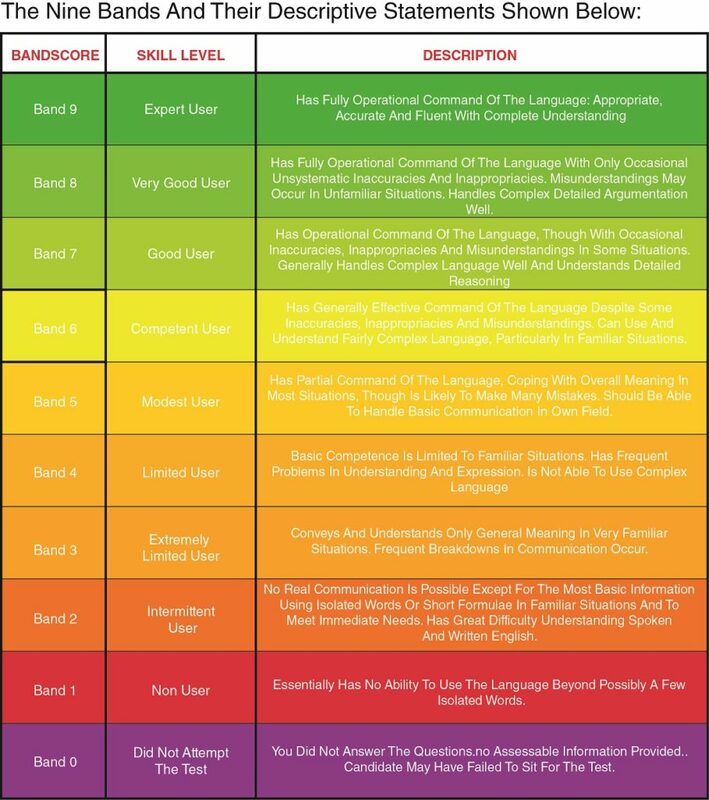 IELTS 9-band scale. Your target score is from 1 to 9 for each part of the test – Listening, Reading, Writing and Speaking. Authorized IELTS Test Registration Center for British Council & IDP. Wispire is always adhere to keep our values and it making us as a leader in training academies in Cochin. Flexible timing for Morning and Evening Batches. Excellent infrastructure for practical examinations – Mock test, Listening and Speaking labs etc. We provide online classes in skype. Speaking test is a face to face interaction between the candidate and an examiner. The test has three parts with total duration of 11-14 minutes. Introduction/ interview: a few questions in 4 to 5 minutes. Short presentation: talk for 2 minutes with 1 minute to prepare. Discussion: around 5 questions in 4 to 5 minutes.